Alan Brock, who was arrested in January 2017 on charges of attempted murder and attempted robbery, pleaded guilty in August. A man who admitted to attacking several people in Woodburn with a machete in January 2017 has been sentenced to 25 years in prison. Alan Brock, 30, of Portland, was sentenced to 300 months in prison on Thursday by Marion County Judge Courtland Geyer for the 13 of 29 charges he pleaded guilty to on Aug. 2. Brock pleaded guilty to two counts of attempted murder, four counts of first-degree robbery, first-degree assault, second-degree assault, four counts of unlawful use of a weapon and unlawful use of a motor vehicle. Brock's attorney Steven Walls previously gave notice that his defendant intended to rely upon a guilty except for insanity defense, which would have claimed that Brock did not know what he was doing was wrong when the crimes were committed. Brock was arrested by Woodburn police Jan. 9, 2017 after stealing an acquaintance's car in Salem and driving to Woodburn, where he stole weapons from Walmart then fled from police. 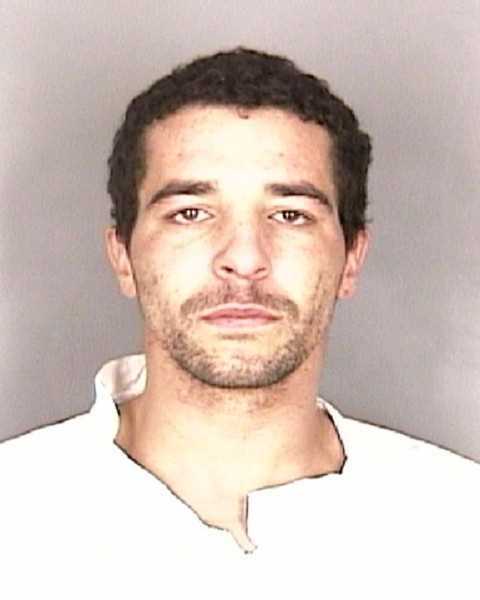 Brock then assaulted several people at the Cascade Meadow apartment complex, breaking down doors and slashing occupants with a machete. Officers found Brock hiding in a laundry room at the apartment complex and were able to arrest him. Brock was ruled unfit to proceed to trial in July 2017 and was admitted to Oregon State Hospital for treatment of mental illness. A psychological evaluation released with the GEI statement said that Brock has a history of methamphetamine use and was demonstrating symptoms of methamphetamine psychosis during events leading up to his crimes. Brock, who was homeless at the time of the crimes, made statements that he believed he was being tracked by aliens and that an alien invasion was underway. According to the evaluation, police who arrested Brock said he was confused when they found him, and was reciting religious verses and making statements about being under alien control. Brock waived his right to a jury on June 26. The plea was the result of several months of negotiations between Brock's defense attorney and the state prosecutor. Correction: A previous version of the story incorrectly stated Brock received a sentence of 426 month. We regret the error.